I read from a prestigious source that Americans have stopped watching NFL. I can only guess this really is true – so what sport(s) have you all switched to? Cut back, only watch my local team. Sick of this "protest" crap. The game has been in a spiral since 2005 when they started to restrict what you could or, more importantly, could not do on defense. The game has become basketball on turf. Not completely but the evidence is there when the average scores routinely get into the 30s and sometimes 40s. Back when it was truly different, a high scoring game was 28 or so points. Couple this with the observation that there is 15 minutes (at most!) of action in a 3+ hour window, and you begin to notice something of a snooze fest. As for the protests? The game is powered by humans with a right to free speech…anywhere they choose to express that. Zulupaul does not like that clearly and has done the right thing by not watching as much. I now watch more soccer (AKA European Football or even Futbol) and ice hockey. When the game says you get 60 or 90 minutes of game time, you get 60 or 90 minutes of action. In the case of soccer, usually a few minutes more! I quit watching years ago. It boors me anymore. Not so much that I watch soccer. What a boorfest! 90 plus minutes of action? He must also love the Marathon Channel ! I am a long time NFL addict. Today I am abstaining. Mowed the yard, washed the cars, went to the hardware store for a few items and ate lunch, all without the TV on, just some pleasant music on in the background. This afternoon I will assemble a 15mm palisade fort I printed last night, prime it and get the first coats of paint on it. If I get really energetic I will do a proper cleaning in the hobby room. Cats have been shedding like crazy. Like ZuluPaul above, I have reached my threshold of politics being injected into the areas I go to escape politics. No, still watching still following my team. Why would I stop watching? The protests are by millionaires decrying injustice. I'm not allowed political actions or statements on the job and my salary cap is six or seven figures less. Off the job, go for it. No, GO FOR IT! I haven't watched (outside of Superbowl parties) since my friend retired from playing. It's a truly beautiful thing and I watched two games. The beautiful thing is all the empty seats. No longer watch or root for the ignorant buffoons. MAGA. Yeah the usual complaints come out when athletes stop being role models for vanilla values and start getting uppity and representing the communities most of them came from, who don't have a voice that is being taken seriously. I do watch the local NFL teams (49ers and Raiders), but only intermittently. Like the NBA, NFL games are far too often determined by the referees = penalties they call when they shouldn't (or don't call when they should). Even soccer (football) is that way to a degree with "flopping". Nothing worse than having referees determine the winner. Though I recognize it is not for everyone, baseball is my favorite professional sport. But even baseball is adversely influenced by having humans still calling the balls and strikes (~97% accuracy rate). MLB has greatly improved it's product in recent years by minimizing the influence of the umpires on the outcome of the game with the efficient use of instant reply. I look forward to the day balls and strikes are called by robots! It's true. I have forgone the National Forensic League in favor of Extreme Chess (except the team from NewFoundLand, obviously). But on the other hand, I was never much of one for watching sports on television. SWMBO and I got bourgeois club seats for the local MLS team for next season. Discussion of civil rights should adjourn to the Blue Fez, please. I'll ALWAYS be a Dallas Cowboys fan, but I've begun to listen to their games, as well as others around the NFL, over online radio. 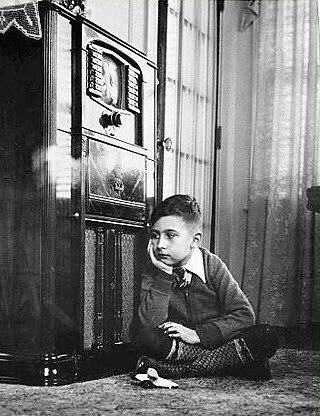 For me, radio really does capture that certain aura of excitement that I've read and heard about from previous generations. Now, if there's an exciting play that I've missed, I can always jump over to the tv to catch it. Otherwise, I like using my imagination and mentally visualize the plays and game. I truly think I was born 50 years too late! You lot sound like English fans talking about the Premier league. When I was kid my local team was made up with local boys and players from the youth team with one or two overseas players earning good but not over the top money. Now the teams are overwhelmingly overseas players with little or no connection to the soccer club or fans earning 5-10 times the average yearly UK wage in a week. Coupled with the massive finical muscle of the biggest teams to buy the best players meaning the league has become heavily weighted in favour of the same six teams every season has ruined soccer for a lot of English fans. Luckily for the PL while the local fans,are getting increasingly turned off they are becoming increasingly popular abroad. I guess this why the NFL keep playing games in the Uk. I have not made the jump to avoiding the games. My current boycott is sports news/highlights shows. I suspect there is a disconnect between the average fanbase and the hyperventilating reaction to the tweets in the sports media and official statements. Nope. My viewing is such a small portion of the equation, and I really only care about what is on the field. As Long as Pete Carroll and Phillip Rivers lose, all is right in the world. I spend all day watching college football, where they still play with heart. The quality of play has suffered with 32 teams. Barely half of them have a decent starting quarterback, and even then they're highly erratic. At the same time, a quarterback is only as good as his receivers, backs and a line to keep him upright and healthy. If there are three decent games on a week, I usually miss them. Now, if every game could be as exciting as the ending of the Penn State Iowa game, I would have no complaints. Problem is that the NFL has too many blowout games and too many teams incapable of putting on a good game. Hockey season is starting. No need to watch the NFL. used to watch/listen to escape that blather. The problem is that we're "forced" (no we aren't; not really) to listen to instant millionaires who will blow it all within 5 years of retirement due to too many hard blows to the head. When did their opinions become more valid than those of people with normal jobs? As Laura Ingraham would say about their counterparts in the music industry, "Shut up and sing!" That applies to the ones I agree with too. I've been watching less and less NFL over the last few years because I find it boring. 3-4 hours of coverage and less than 10 minutes really matter? No thanks, I'll watch hockey, and have become a fan of English football and now rugby. Though even as a casual fan, I can understand what Prince Rupert is talking about regarding the EPL. I'm no longer an NFL fan and being too lose interest in college ball. Both are becoming too professional. The last hope is high school ball. The current ignominious behavior by so many athletes is part and parcel. Football is the last sport that I will sit down and watch. And, every year I watch less of it. At this point, I may tune in for a playoff game but it really doesn't hold my attention anymore. The beauty of it all is that, just as these "protesters" have a right to express their views of America in public, the American public has a right to express what they think of those views (by word and/or wallet). But you usually find that the people who defend the right of the "protesters" are a bit quick to shoot down the right of the public to voice their reaction. But when the defenders do that their argument loses all its weight. They have a valid complaint. That's a matter of opinion, of course. And so is the manner and timing of their protest. And using the anthem that represents one's nation to get back at those they don't like is like grossly insulting everyone at a very big table where you are a guest, just because someone is kicking you under it. And so, in that situation, almost everyone at the table would have an equally valid reason to complain against the insulting accuser. It's like the self-centered drama-seeking ingrates who beg for and receive all manner of financial and other assistance from fans, the general public and their government (for training, uniforms, travel, you name it), to go and represent our nation in front of the entire world at the Olympics and who, just when the time comes to express gratitude to the people and nation who did so much for them, they then decide to fling feces at the symbols and anthem that represent their generous sponsors as a nation. I think all/most of that nation's citizens would have a very valid complaint against those Olympic athletes and their calculated and selfish act. That's the beauty of freedom of expression. For that right to have any profound value at all, it must also allow everyone else the freedom to react to one's expression, with one of their very own. The Olympics is a bit different because, as you point out, you've been hired by the nation to do some running on their behalf. Presumably the Boston Iron Draggers (other teams may actually exist) are more in the pockets of Coca-Cola , Budweiser and Nike ? Which sort of raises the question – what's the flag thing got to do with the game anyway? I have to admit I don't understand Flag Worship. Unless you're Sheldon Cooper. Like I said. If they want to say their peace in such a way, and at such a public event that represent so many things to the fans, then the fans and the nation should also be allowed to say their peace about the reasons behind their grievance and about the place and timing of their hissy fit. "I have to admit I don't understand Flag Worship. Unless you're Sheldon Cooper." I guess only self-absorbed Sheldon Cooper would fail to see such an easy, "common" sense concept, and focus on all the wrong points. Then again, that's what he does. Lol. Ah, no, in the OP I was asking about the accuracy of the claims about ratings and wondering if it was really true that everyone in the USA has turned off from NFL. I hadn't heard about any sponsors walking away which is what usually happens when ratings drop. Coke goes and sponsors….whatever sport it is all the ex-NFL watchers are now watching. Gymnastics. Track & Field. Slalom Canoe. Whatever. The flag thing is the reason why the claim about dropping ratings was made, but that's really a by the by to the actual discussion. At this point I'd even prefer kite-flying over all this drama. At least you guys across the pond seem to have other options. There is a slight decline in NFL ratings, but that was occurring prior to this latest invented kerfluffle. Most observers agreed that this was a function of too many games over a week, and a growing concern over CTE and other injuries among the families of young boys. ( Nationally high school participation was down about 5% in the last two years, with a greater decline in the NE, and West than in the South and lower Midwest.) Some of the decline has also been attributed to an over-all mediocrity of play. The kneeling protest was actually pretty confined and almost non-existent, prior to it being hyped in Alabama. Given that roughly 70% of NFL players and 90% of NBA players are black, and that the owners fortunes hang on the performance of these athletes, it is very predicatable what their reaction would be. Likewise, over 80% of season ticket holders are white as is obvious in any crowd shot. In fact, almost all professional sport in the US is dependent on a high number of minority athletes-usually over 50%, and an audience that is largely white,often 90% or more. The exceptions to this are NASCAR which is highly regional, and Hockey which has almost no minority athletes. Both audiences are.almost totally white. In NASCAR, the drivers are not required to run, jump, throw or hit a ball or even learn to turn right. Until recently the only protests involved the Confederate flag. In the on line circle I go to its very real. If you agree with them or not the NFL has become a political organization. I don't see much change in my friends and coworkers regarding watching football. Some complain about the protests, but they still watch. My habits haven't changed in the last few years, every now and then I watch a game. I prefer to watch the local junior high teams play to be honest. Not too much corruption at that level. Mostly just people who want to play football, playing the way God intended…three yards, and a cloud of dust. I think the situation they seek to highlight is too often downplayed by those who are not affected. They are justified taking whatever means necessary to make people wake up. The status quo is just more and more racism. Oh sure. Lol. Sorry, this is not the slave days, or the awful eras that came later, and I resist anyone who tries to make big protests now when most of the real wars on inequality have been won or are being won. It's like enlisting for the Great War but doing so in 1919. Sorry. I believe like Morgan does. This is all intentional, and intended to be grossly insulting and divisive, and to keep bad feelings alive and well and,old wounds bleeding for political gain, and to find yet more new ways to divide us even further. And after acting that way, they then try to look as though they're the victims of the backlash of their own calculated actions? Ha! I have nothing else to say on the subject that Mr. Freeman and other mature and mentally balanced people of all ethnicities under the American flag haven't already said. I read somewhere that the last Lynching occurred in 1967 and AFAIK most of those lynch mob murders went unpunished so that is a huge issue that is just swept under the rug. Isn't the number something like 3-4000 lynchings? Each perpetrated by multiple offenders. So we are talking about many THOUSANDS of murderers who went on to indoctrinate their families with hate. Wow. Without true numbers, as you call them, you sure sound certain about your extrapolations, and then sound doubly sure about passing something of that extrapolation on to the next generations. Isn't that like starting a tower with your softest brick available? Anyway, back to the real point of this thread (our feelings – those of US citizens* – about the method and timing of these public antics) … there are a million different ways to bring awareness to an issue, without spitting and flinging feces on everyone in the process (and then act as a hurt victim when everyone gets pissed). I'll let you talk among yourselves all you want. 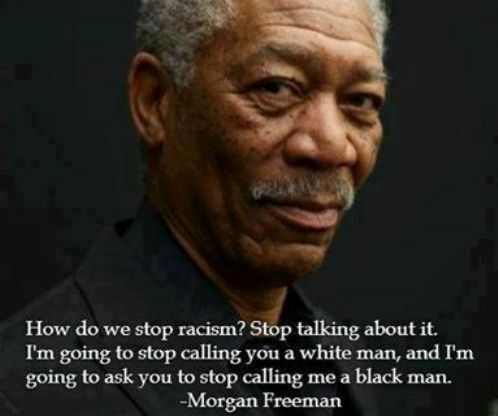 I'm done listening to all this BS, as Mr. Freeman calls it. * So many "non-" ones seem to want to condemn every little thing we do in the US these days, a bit mob-like, but they immediately bristle at the thought of anyone ever judging their own internal issues back home. So many "non-" ones seem to want to condemn every little thing we do in the US these days, a bit mob-like, but they immediately bristle at the thought of anyone ever judging their own internal issues back home. No, no – you go ahead : it's a free country after all. If you need more action that is similar to American football try rugby league plenty of action and lots of contact and all throughout the entire game, gave up with NFL years ago even the super-snore just far to much time and no action. They can kneel off the clock all they want. PS. Hmm. I wonder how many of those defending the protesters have ever had employees who wanted to use their money and costly promo opportunities to hijack them for something else.